In this book the author lays the foundations for a new political economy of information. 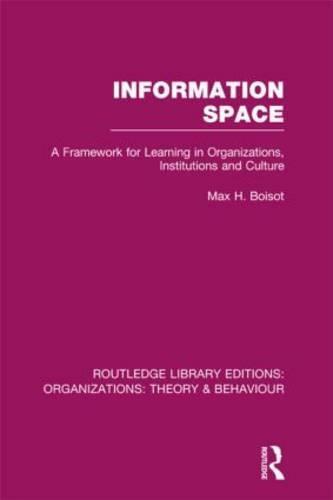 The information space, or I-Space is the conceptual framework in which organizations, institutions and cultures are being transformed by new information and communication technologies. In the penultimate chapter, the I-Space's usefulness as an explanatory framework is illustrated with an application: a case study of China's modernization. Information Space proposes a radical shift in the way that we approach the emerging information age and the implications it holds for societies, organizations and individuals. `This is one of those rare path-breaking books which academics or practitioners should not ignore.' John Child, University of Cambridge.